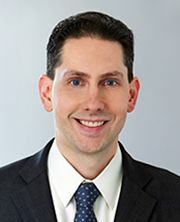 Healthix is pleased to announce that its Board of Directors has appointed Todd M. Rogow as President and Chief Executive Officer effective May 1, 2019. Todd has held the position of Senior Vice President and Chief Information Officer at Healthix.“In appointing Todd, the Board has selected an effective and respected leader to take Healthix into the future,” said Tom Check, who retires as Healthix CEO at the end of April. “Todd, a proven leader in health information exchange, brings business vision and the ability to bring people together. His vision for how technology will be used and experienced in the New York region is exactly what Healthix needs as the company enters its next chapter of expanded product innovation and growth,” added Richard Donoghue, Healthix Board Chair. Todd M. Rogow joined Healthix in 2015 as the Senior Vice President and Chief Information Officer, where he was responsible for providing the vision, strategy and day-to-day operational leadership for all technical aspects of the company. Todd brings a wealth of knowledge and industry experience and has worked in the health information exchange space for over fourteen years. In 2019, Todd led a security team to achieve HITRUST CSF Certification for information security, the most comprehensive security framework in the U.S. healthcare industry. Todd looks forward to the next chapter of Healthix expansion, providing impact and efficiency for its 1,200 Participants and their patients. A key goal is to demonstrate the value of mobilizing health information across our communities to transform patient care.